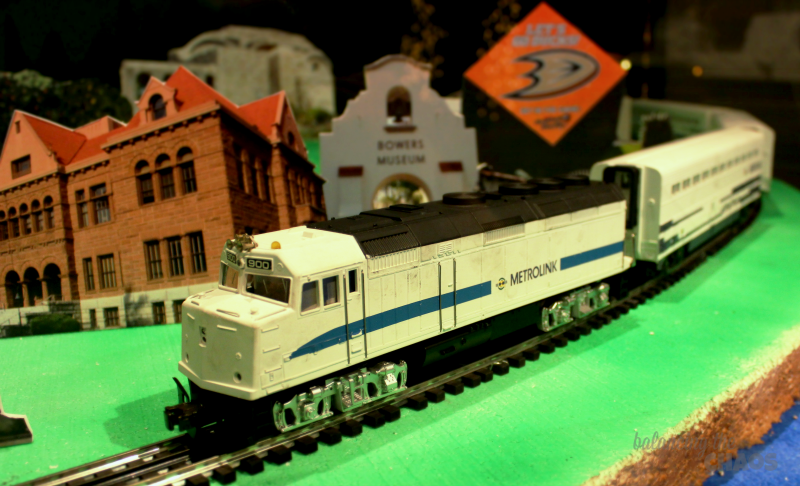 Last weekend we were invited to Muzeo Museum and Cultural Center in Anaheim for the grand opening of the Holiday Model Trains exhibit that is now on display through January 8, 2016. The exhibit consists of five separate themed layouts with various gauge trains and fantastic hand made scenery featuring some favorite Southern California locations. This all new exhibit features Thomas the Train and a vintage department store window sponsored by Macy’s. Brought to you by Toy Train Operating Society and Train Collectors Association, the former creators of the Nixon Library display. 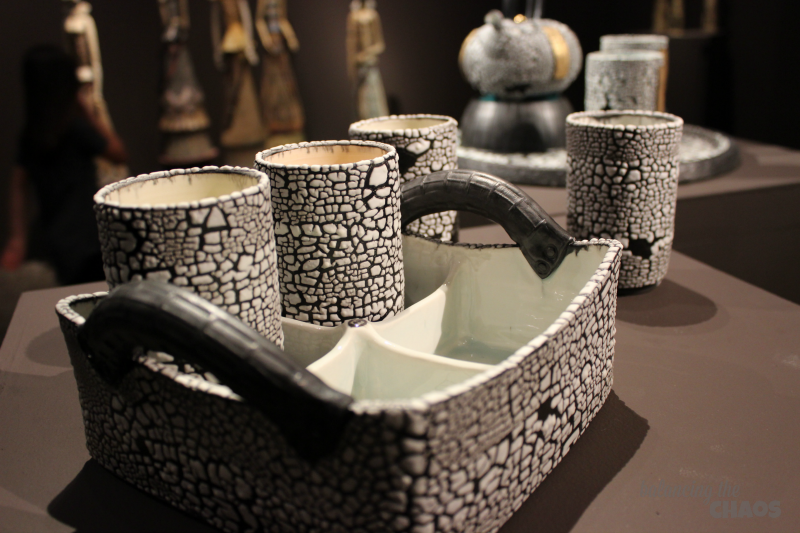 Also currently on display is the Ceramics and Glass Exhibition presented by the The Association of Clay & Glass Artists of California (ACGA). The exhibition features the artworks of eight invited southern California artists: Caroline Blackburn, Pierre Bounaud, Beverly Crist, Maria DeCastro, Paul Harrie, George Jercich, Alone Larsen and Cheryl Tall. These beautiful, one of a kind pieces were created using various firing temperatures and working methods, from functional to sculptural. Holiday Tea and Celtic Christmas Show performed by Tin Box Theatricals on December 4th. Admission is FREE for Carnegie Gallery exhibitions, and admission fees vary with each Muzeo Main Gallery exhibit. Please visit their website for current and upcoming exhibitions for individual pricing in the Main Gallery.